It’s Christmas all year at the Kringles Christmas Shop. Visiting this store with almost 100 decorated Christmas trees is an experience all its own. You will find Christmas ornaments and decor from all over the world. Each tree has a specific theme, so there is definitely something for everyone. You will find ornaments by Chrisopher Radko, Emanuele Fontanini, Ann Dezendorf, and many more. Of my favorites during my recent visit were the giant nativities, the red themed Christmas tree, and a Breast Cancer Santa. The place is huge so plan to spend at least an hour looking at everything. And the best part, the prices are totally reasonable. It’s beginning to look a lot like Christmas at Kringles Christmas Shop at the Grand Village in Branson, Mo. 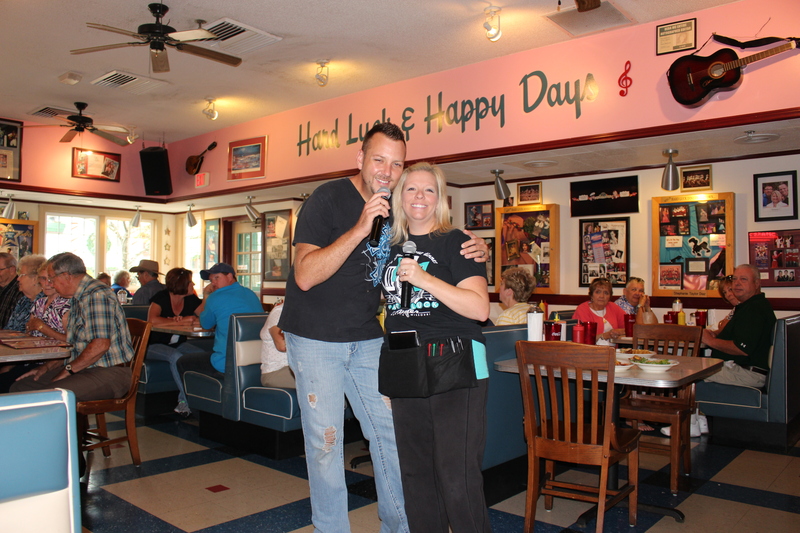 From Contemporary to 50’s Gospel and Country, you’ll hear your favorite sung at Mel’s Hard Luck Diner at the Grand Village Shops in Branson, Mo. Meet Branson’s most talented waitstaff who sing to you, while serving your favorite American Cuisine. Mel and his crew have been serving up delicious, ooey gooey cheeseburgers, homemade onion rings, and the biggest sundaes you have ever seen for 10 years, but the restaurant has been in business for over 21 years. It was originally owned by Silver Dollar City, but Mel bought it in 2004 and revitalized it into a mainstay in Branson. 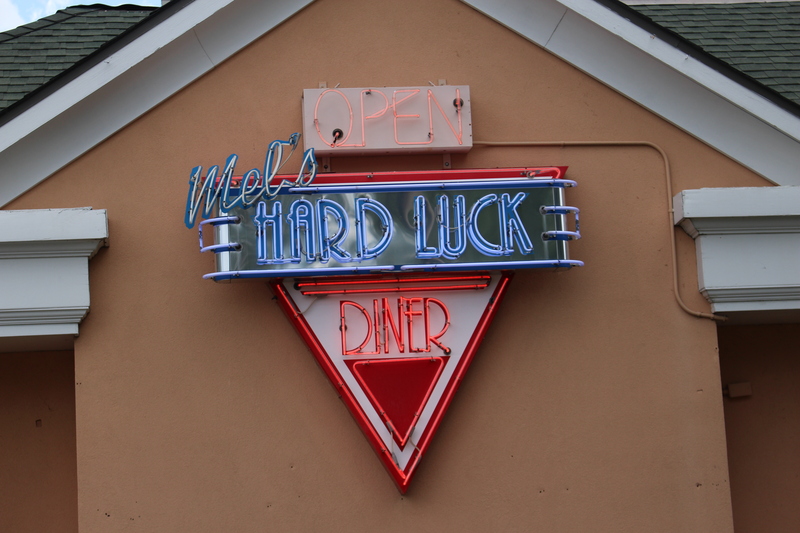 When you visit Mel’s Hard Luck Diner, you are sure to find something to tempt your taste buds in their massive 13 page menu. Mel recommends the Reuben made fresh with real Swiss cheese, their traditional style corned beef, sauerkraut, and a secret sauce sure to knock your socks off. Folks are especially intrigued by Mel’s Peanut Butter, Banana, Raisin, and Caramel Concoction Sandwich made with chunky peanut butter on slices of toasted bread topped with sliced bananas, raisins, caramel syrup, and a sprinkle of brown sugar! It’s served with fries and caramel for dipping and is sure to satisfy your sultry sweet and salty cravings. And, don’t forget the gift shop on your way out. You’ll find gifts and collectible souvenirs to bring home and in case you crave a snack to take on the road, the shop has unique sodas and candies to take with you. 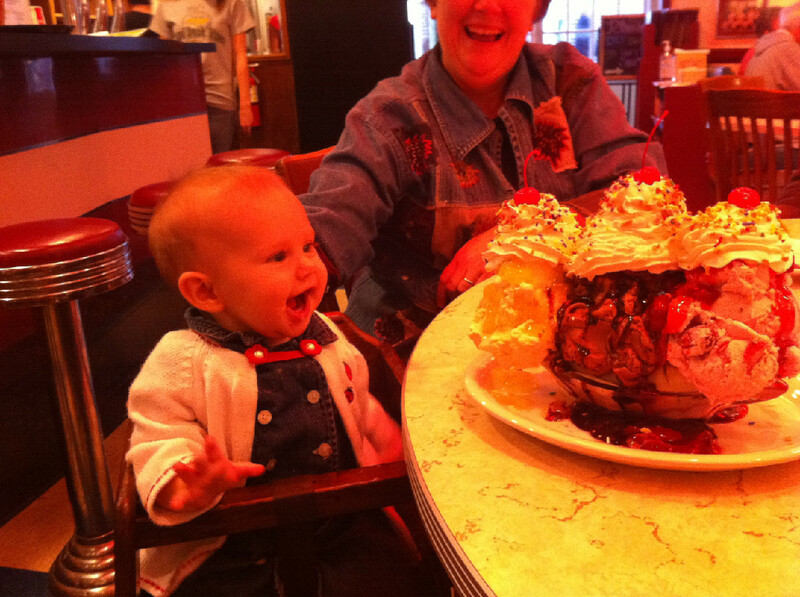 The portions of the food are very large and filling.The entertainment was great. The waiters sing as you eat your meal. Large selection of food on menu. The shakes are hand dipped and very thick.The food was hot and delicious. We have eaten here at least 6 times over the years and are always pleased.The service was wonderful. Tune in! Natural Way to Heal Your Body. Sounds to good to be true, right? Well, I am living proof that the Tuning Element has a product that works together with science, nature, and innovation to improve your overall well being. You see…our bodies are made of 70-75% water, depending on who you ask. The environment plays havoc on our cells each day and each day, many of us experience stress, pain, and/or fatigue. “Therefore, we get out of tune with our body’s natural frequency” (TuningElement.com). Our bodies get out of whack. They quit absorbing proper nutrients from the foods we eat and they lose the natural ability to fight infections and disease. In fact, if you visit the Tuning Element at the Grand Village Shops, ask them to test your alkaline levels. They can do it in under a minute and tell YOU what types of aches and pains you might be experiencing. They can also tell you, what level (I, II, or III) of Tuning Element Jewelry you will need to start feeling better. When I visited the store, they gave me a sort of temporary tattoo (sample) of the product. They placed it on the back of my neck. I told them I had no pain, because it seemed personal to me at the time. However, I did have pain and it was right in the back of my neck. Within minutes, the pain subsided and within a few hours, I was feeling happy and relieved. My family really appreciated the new me. Want to know who are the biggest clients of Tuning Element? Truckers, Nurses, Teachers, Construction workers, and folks with diseases like heart disease, MS, stroke victims, cerebral palsy, etc. Best of all, there are no drugs involved and you might have such great results that you actually get to eliminate the drugs that you already take. I’m no doctor, but here is one that uses the product in his practice: The bracelets start at $175 and go up to around $475 depending on your needs. It seems like a relatively low investment to rid yourself of pain. I am definitely sold. Come visit them today at the Grand Village Shops in Branson, Mo. and find out how they could help you. It’s been 48 years since the owners of Dickens Gift Shoppe opened their doors on the 76 Strip in Branson, Mo. They have greeted guests from around the country with their gifts, Branson collectibles and local artists. One year ago April 2013, the store relocated to the Grand Village Shops and I had the great honor of spending some time with this wonderful family last week. The store has evolved over the years, but it continues to be run by the Dickens, now 3 generations strong. One thing these guys have down, is their ability to make the most amazing homemade fudge. 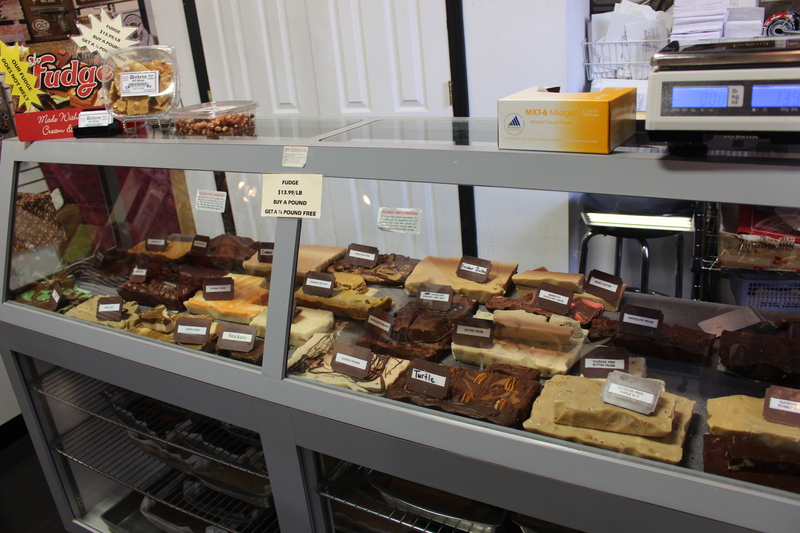 In fact, Dianne (owner) and her daughter make the fudge and they are always coming up with new flavors to try. This last month, they debuted their Carrot Cake fudge and I was one of the first to taste this mouth watering treat. It really does taste exactly like carrot cake. You have to try it. However, fudge isn’t their only specialty. They carry locally made foods like jams, jellies, but they also carry locally made arts and crafts. In fact, they have someone who makes homemade lye soap for their store. It is wonderful. They carry metal signs, yard art and flags, bird houses, Branson souvenirs, beautiful wind chimes, and more. 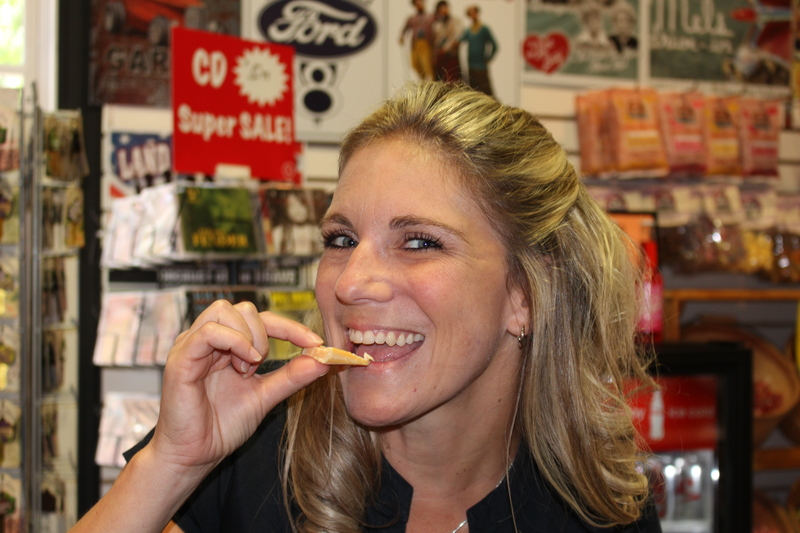 One of the most interesting items in their store is the GingerSnaps line. It is a line of jewelry that you can change to go with any outfit. When I was there visiting, they sold several pieces. It’s pretty and practical with a small price tag. Everyone in your family can find something to love in Dickens Gift Shoppe. Now, what are you waiting for? Get your shopping on!! If you are looking for delicious food in Branson, Mo. 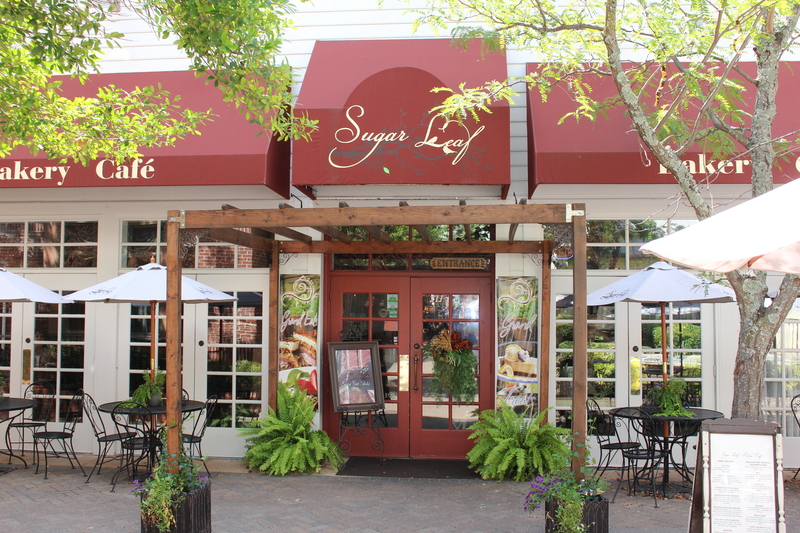 , look no further than Sugar Leaf Bakery & Cafe at the Grand Village Shops on Highway 76. Owners Todd and Lori Jansen come from humble beginnings. The couple reins from a small town in Nebraska, but moved to Branson in 1996 with their family. It started as a dream, but with a ton of hard work and persistence, Sugar Leaf Bakery made it’s first cookie in 2004. This is the BEST kind of edible arrangement! This Salad is To Die For. A favorite salad of many guests. Water with Lemons and Limes. Each month, they have monthly sandwich specials and they are open year round. Come in and enjoy one of their award winning sandwiches, flavored Iced Teas, or desserts that will knock your socks off. I’m sure you will make Sugar Leaf Bakery & Cafe a MUST on your next visit to Branson, Mo. Visit their website for a complete menu HERE. 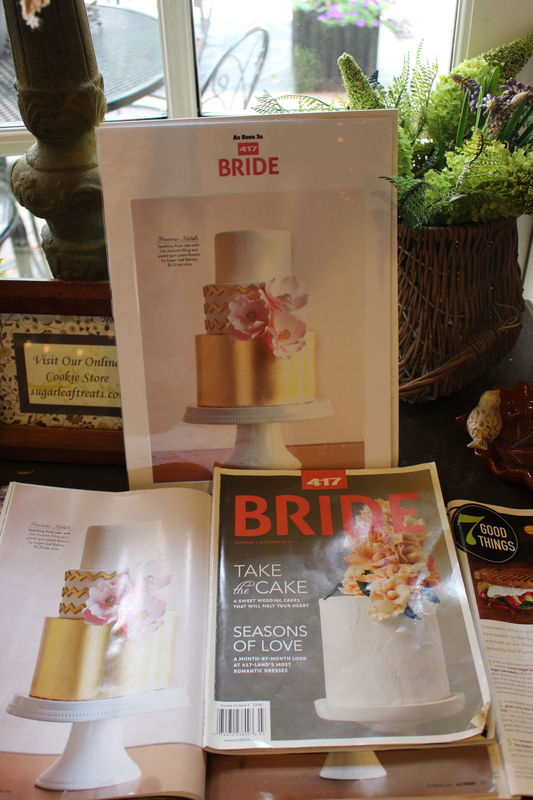 Post your Sugar Leaf Bakery Photos to our facebook page HERE. This post made me hungry. I’m off to Sugar Leaf for some chicken salad and a peach tea. See you there! 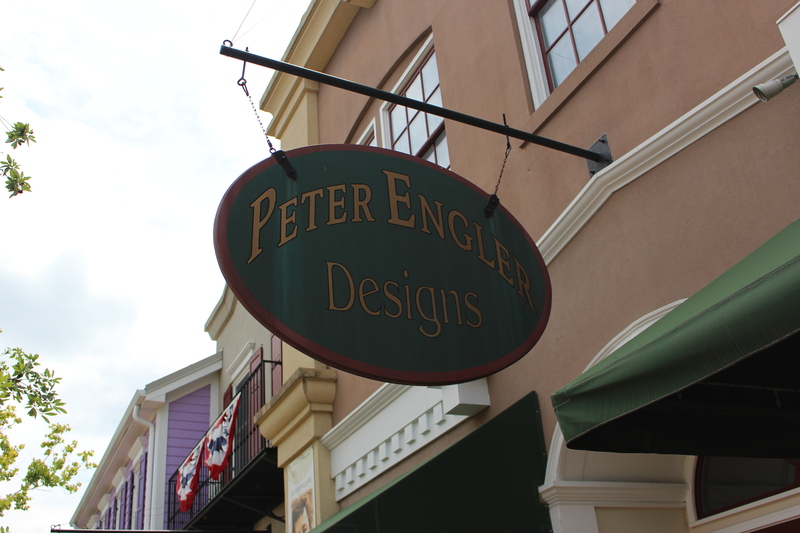 I stopped by Peter Engler Woodcarving and Design Shop last week to meet the owner, Mary Bowman. I am truly fascinated by this shop, which displays local art from over 150 artists. I wanted to find out how this shop began. By the way, If you are a supporter of items made right here in the United States, this is your store. 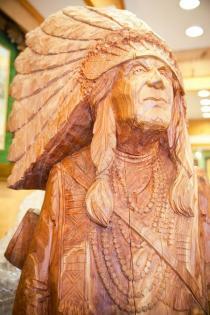 The original owner, Peter Engler was a famous woodcarver who began selling his wares in 1962 at Branson’s Silver Dollar City theme park. He believed that everyone should learn some type of craft and he strived to keep the art of woodcarving alive through generations. Mr. Engler made a huge impact on the Ozarks as the founder of the Fall Arts and Crafts Festival and the Ozark Mountain Christmas, both at Silver Dollar City. 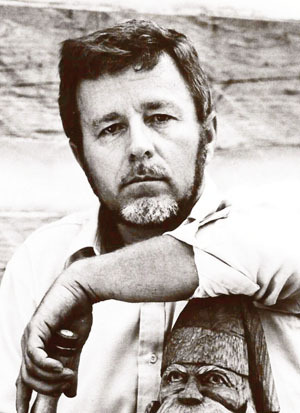 Peter passed away in 2012, but his legacy remains. Mary Bowman, Peter’s friend and business partner, is now the sole owner of Peter Engler Woodcarving and Design Shop. She has kept his dream alive by selling everything you might need to begin the art of woodcarving, i.e. wood, wood carving tools, books, etc. Oh, and she too is a woodcarver and painter who learned the art from Peter. You can purchase any of Peter Engler’s remaining art pieces while they last. They are one of a kind, signed pieces and once they are gone, they are gone. Not only can you learn how to carve at this shop, but you can also learn the art of pottery. Local Potter, Tracy Adams, owner of Potternot Pottery, can also be found several days per week in the back of the store on her potter’s wheel. She began her artistic career at Silver Dollar City. She now has a huge following and I can see why. She makes everything from baking dishes to candle holders. Stop by and meet her. She gives live demonstrations on Wednesday, Friday and Saturday afternoons. This store is full of life. It’s Americana at it’s finest. Stop by and meet this talented group of local artisans. They’ll be glad you did. See you at the Grand Village Shops! Follow Grand Village on Facebook. Remember the Golden Age when American Craftsmen made things from scratch? Where hand crafted items were highly regarded and appreciated? It seems a distant memory to many of us who live today, in a new Tech-Savy age where iPhones, Computers, and Social Media seem to have taken over. You can literally find anything that you want or need at the touch of a button. Let me introduce you to someone who stills believes in the art of leatherwork and who has been crafting with leather for more than 40 years. 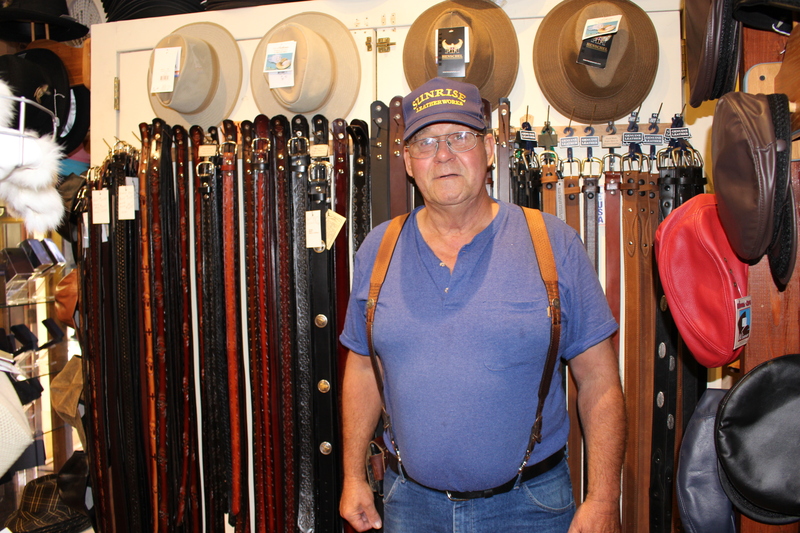 Meet Greg, owner of Sunrise Leather Works at the Grand Village Shops. He started his business at the age of 16. It has now blossomed into a thriving leather shop full of handmade leather crafts like belts, phone cases, money clips, hats, purses, etc. I met with Greg to learn the process of how a belt is created, starting with a cow and ending with a gorgeous work of art. Leather is unique; different from any “cloth” put together by man, for it is the actual skin of an animal that grew as the animal grew. The skins of cows provide most of the leather for carving. These skins must be vegetable tanned so that they will readily absorb moisture, allowing you to mold and form the leather easily. After the 2 week tanning process, the leather is shipped to Greg in “sides”. 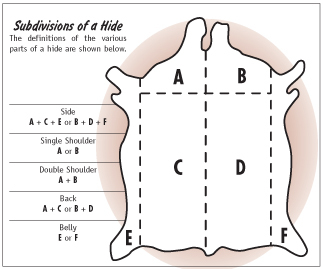 See Diagram A for the layout of a hide. Greg and his team of toolers, Virgil and Danny, cut the hides into long strips and begin the tooling process. (See Diagram B) After the belt is finished being tooled, Greg takes it back to his shop to airbrush. The entire process takes a month to complete. The finished product is then put on the shelf for sale. 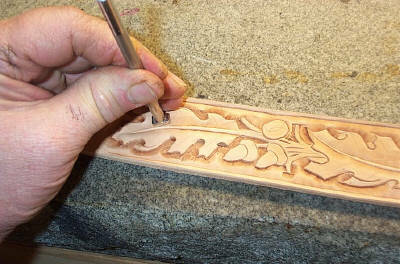 The art of leather tooling. The work that goes into 1 belt is truly unbelievable. Stop by Sunrise Leather Works at the Grand Village Shops and see these beautiful works of art for yourself. 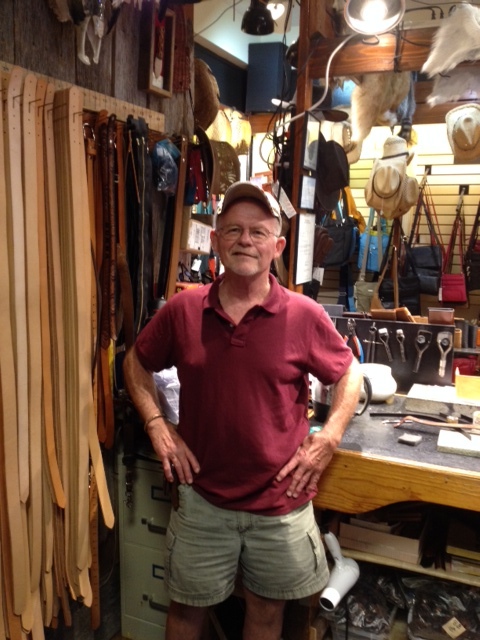 This is leather tooler, Virgil who works at Sunrise Leather Works.